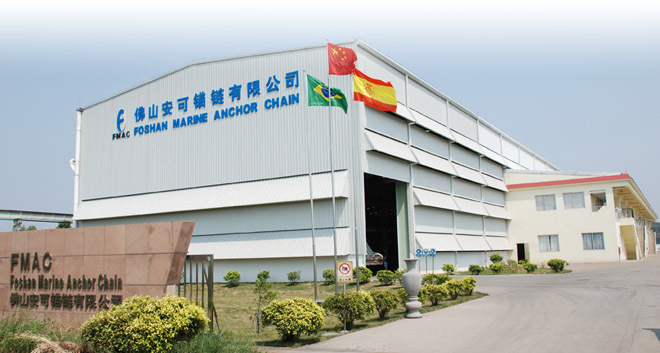 Foshan Marine Anchor Chain, Ltd. (FMAC), works together with you, our customers, to produce and supply mooring lines and accessories for the marine and offshore industries. Our products not only guarantee the safety of the vessel or installation where they are used, but are also a vital component in your projects. FMAC is part of the Vicinay Marine S.L.U, a world leader in the manufacture of mooring systems, founded on 200 years of continuous production and product development.